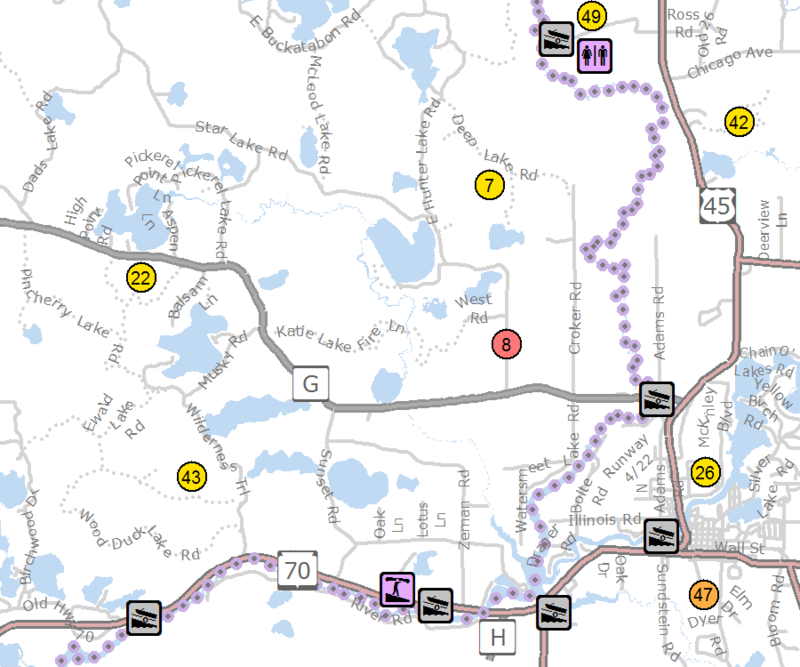 This trip segment from the River Road landing to the beginning of the Rainbow Flowage crosses the broad floodplains through Watersmeet Lake (slow current with boat traffic) to the Otter Rapids Dam area. From the Dam to Hwy O, the tailwater area is fast with many boulders. The river channel narrows through the wooded uplands and marshy lowlands to the beginning of the Rainbow Flowage. Winds can make crossing the flowage difficult. There are portages by the dams along with several landings suitable for take-out or put-in. No camping is allowed on the reservoir shoreline.